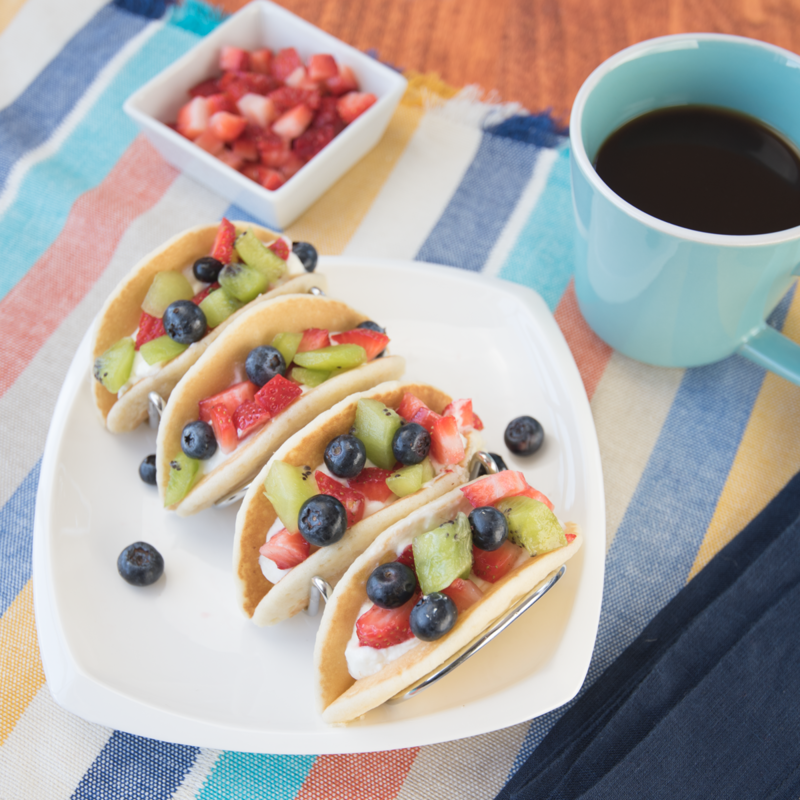 Let's taco 'bout how good these look! Here's a fresh and fruity take on a classic that the whole family is sure to love! First, heat the pancake in the microwave according to packaging instructions. Once pancake has cooled, hold the pancake in your hand so that it looks like a taco. Then, take a spoonful of vanilla yogurt and fill the inside of the taco. Next, fill the rest of the taco with your mix of berries and kiwi. Drizzle some honey on top for an extra sweet treat!